What’s the Difference Between Data Projectors and Home Theatre Projectors? For most people, a projector is just a white box which displays images on flat walls, whether that’s a Blu-ray movie in your home, a PowerPoint presentation at the office or sales information on the walls of your business. However, what you might not realise is that within the world of projectors there are those designed for use in the home and those which are designed for commercial and office applications. The former we describe as home theatre projectors, whilst the latter are data projectors. But what’s the difference between the two, and should you avoid buying a data projector for home usage? Let’s take a look. Data Projectors vs. Home Cinema Projectors – The Differences. Let’s get the big similarities out of the way with a really obvious one: both data projectors and home cinema projectors utilise very similar technology to perform the same function – project images onto surfaces. But whilst the function might be the same, they’re specialised for different tasks. It’s a little like how all cars are, fundamentally, much the same, but they specialise in certain areas, whether that’s speed, comfort or economy. Brightness is a key consideration when you’re purchasing a projector for office use, but it’s less of a consideration when you’re inside the home. Why? Well, because the majority of media watching is done with the curtains drawn and the lights down, having a projector with an ultra-bright output is a secondary consideration. In professional settings like offices, boardrooms, conference centres and shops, strong indoor lighting is often present, meaning that having a projector with a high lumen count is extremely important. As such, data projectors often feature significantly higher lumen counts in the 2000+ lumen range, which ensure clear images even in bright spaces. Colour calibration effectively determines how close the images you see on screen are to the intended colour and tone being outputted by your computer, DVD player or smartphone. In a home cinema projector, you’ll find that colour calibration is of exceptional importance as it determines how true-to-life the images on the screen are. For a data projector though, it’s usually a little less important. After all, whilst you might feel your beautiful graphs and statistics might deserve the all-star treatment, in reality, having good but not great colour accuracy enough is usually more than enough. Unlike home cinema projectors, data projectors are designed to be moved and to be installed temporarily in a wide range of locations. Because these projectors are designed to be moved around, they offer a wider variety of zoom lenses and focal lengths which make them a flexible option around your business. 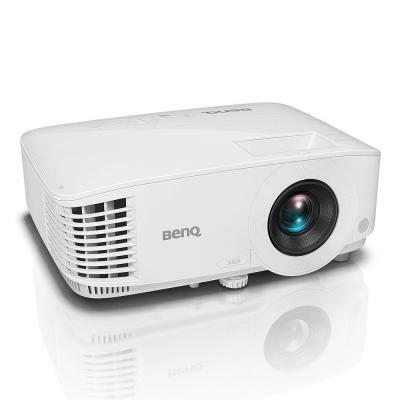 Home cinema projectors, however, typically have a much tighter ‘ideal’ placement range which makes offers excellent image clarity, but makes them unsuitable for many professional applications. Subscribe to receive our regular news send out to your inbox. Copyright © 2019 - All Rights Reserved. KPMS Commercial Ltd.